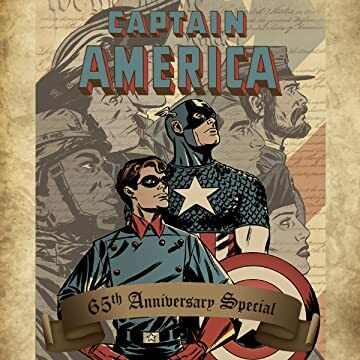 Celebrating 65 years of Captain America, we bring you a special that weaves together Cap's modern stories with his fighting days in World War Two! 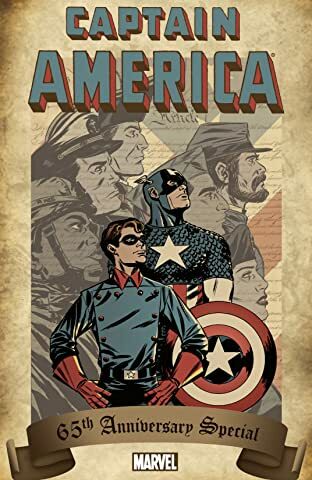 Cap's newest enemy, General Aleksander Lukin, the head of one of the most powerful corporations in the world, is attempting to buy a piece of land in Germany, and he won't take no for an answer. What does he want there? The answer to that can only be found in an untold tale from the war -- a story that finds Cap and Bucky fighting alongside Sgt. Fury and the Howling Commandos behind enemy lines, trying to stop the Red Skull from launching a monstrous attack on the Allies unlike anything ever seen before!